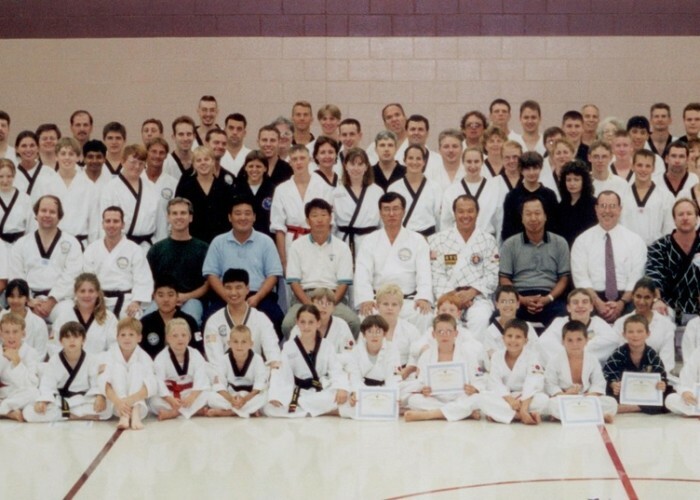 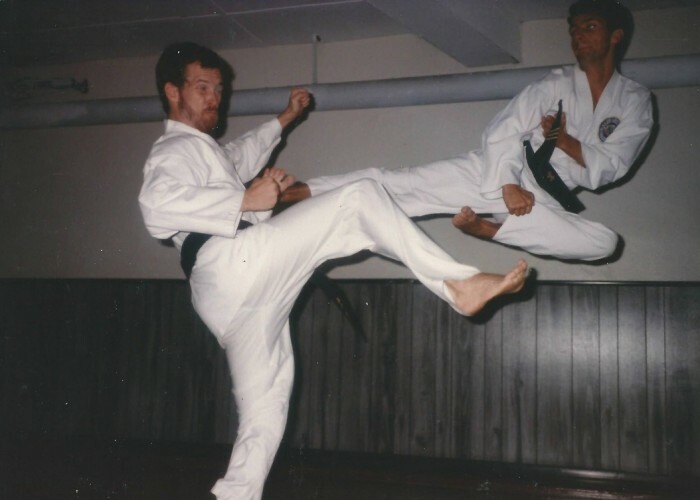 Black Belt Seminar around the year 2000. 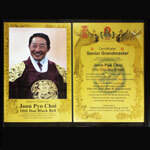 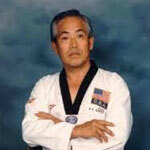 Note Master Bushman is the first caucasian master to Grand Master I K Kim's right. 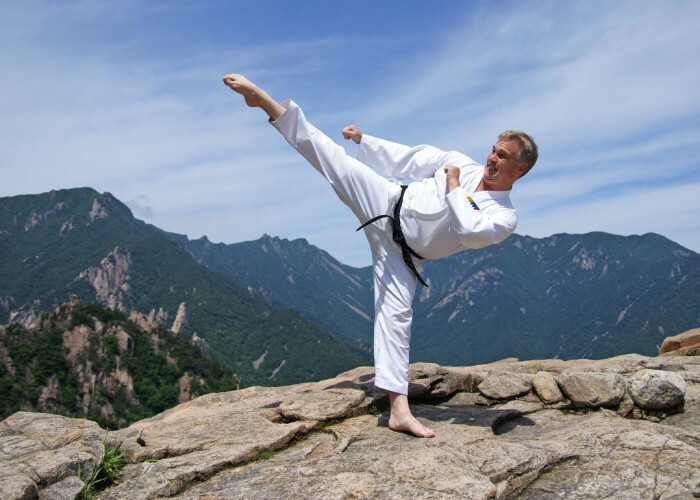 While in the US we refer to a leader's "right hand man", in Asian culture the next senior person is to the leader's left. 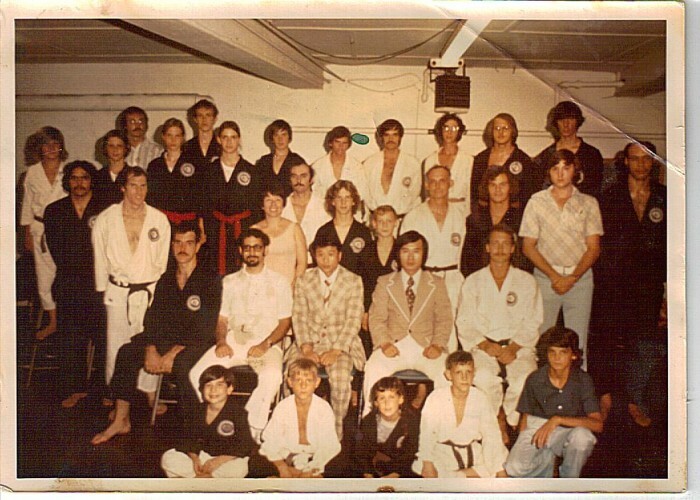 Master Ray Witte is the first caucasian master to Grand Master Kim's left as he was some 4 years senior to Master Bushman before he retired shortly after this picture. 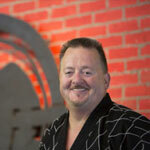 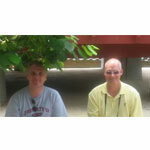 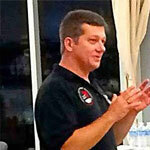 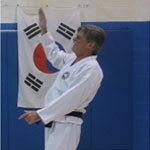 Master Witte promoted to 4th dan the same test Master Bushman promoted to 3rd dan in 1981. 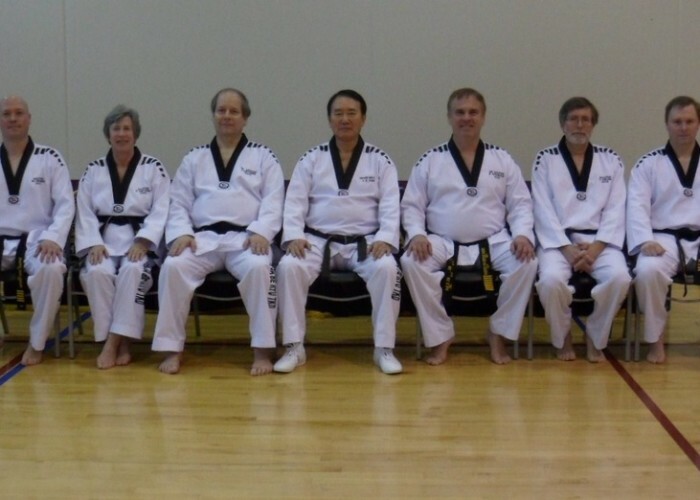 Photograph from January 2014 of all the active Masters at that time. 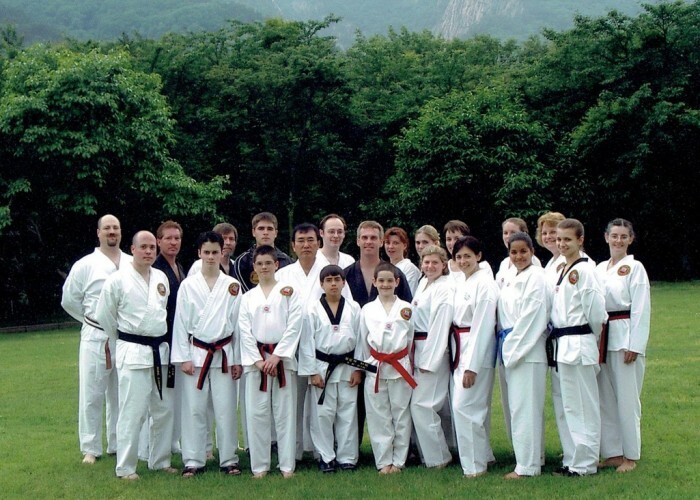 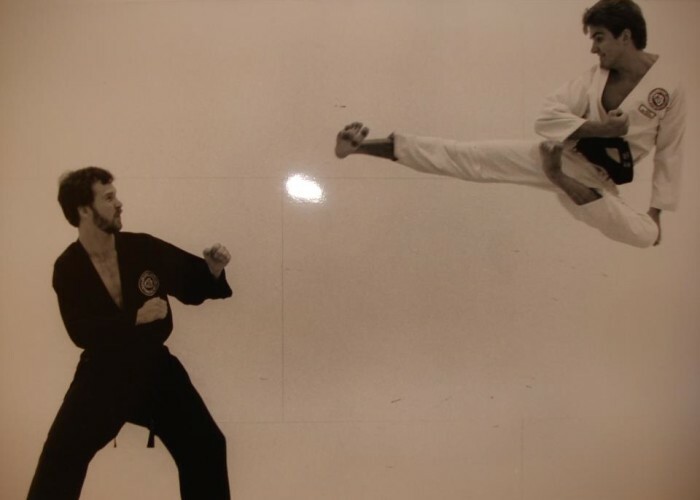 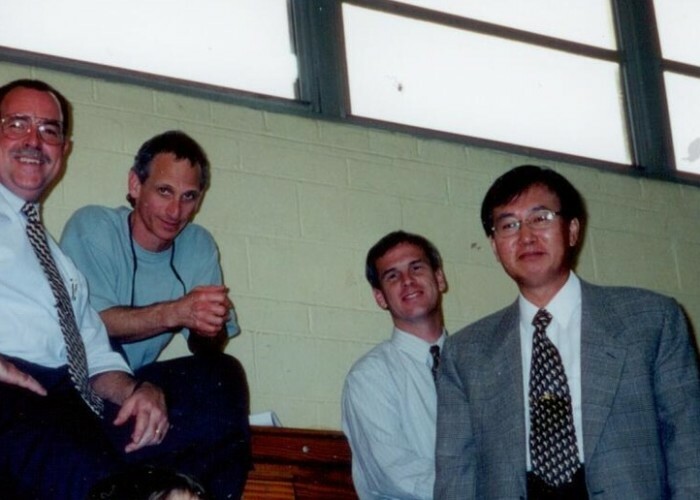 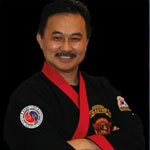 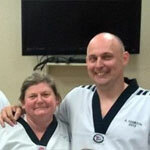 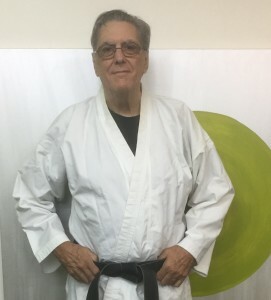 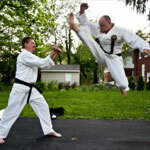 Note Master Bushman is to Grand Master Kim's left as the Senior Master by several years, having started in 1972 and promoted to Master Level 5th Dan at age 29 in 1990, the youngest to achieve Master Level under Grand Master I K Kim.